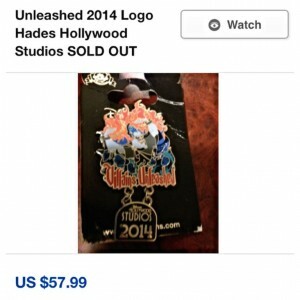 Most of us theme park fans love our merchandise, and nothing is more frustrating than to find out that limited edition merchandise is completely sold out halfway through an event, only to see the very same items up for sale on eBay with ridiculous prices. It happens all the time, so we shouldn’t be surprised, but it happened in spectacular fashion at Villains Unleashed. 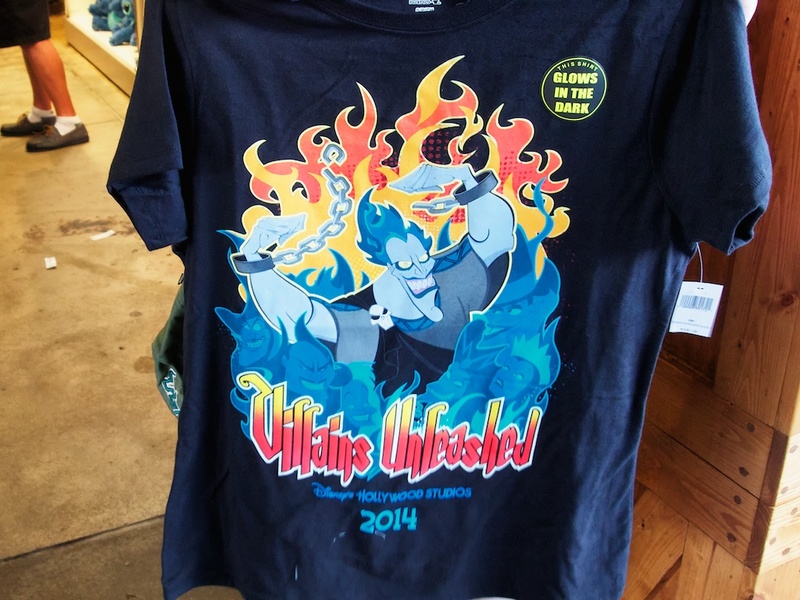 There were only a couple pieces of event specific merchandise (including a shirt, a water bottle, and a pin), and much of it flew off the shelves before the majority of party goers even had a chance to see it. 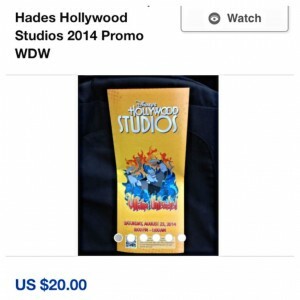 Lo and behold, all the items began immediately appearing for sale online. 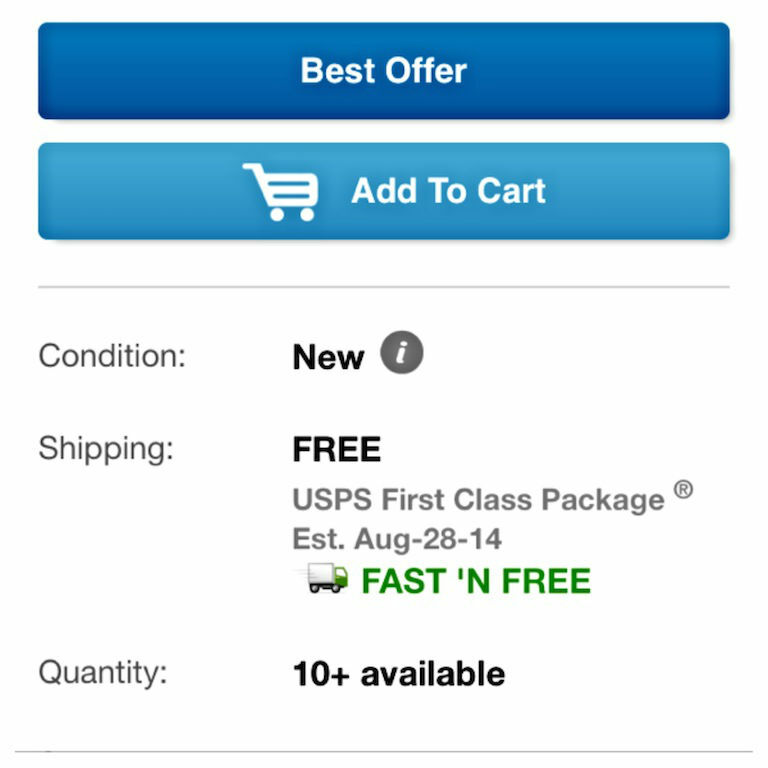 Note “10+” available. 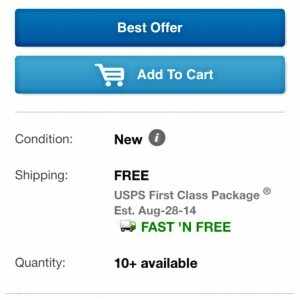 Almost all park map sellers on eBay had 10 or more copies for sale. This seems like the easiest fix of all. JUST PRINT MORE. Its understandable that even your average guest will want more than one park map because the one you use to actually navigate the park invariably gets lost or destroyed. They also make great souvenirs. Disney knows how many tickets were sold, so just massively over print park maps and also give one to every single person “checking in” to the event. I’ve also been to many places where they have used everything from park maps to candy wrappers to make recycled jewelry or even wallets. In fact, the African Outpost in Epcot’s World Showcase offers these recycled items. The merchandise problem is harder to get a handle on because when Disney does make a lot of event specific merchandise, a ton of it ends up going to the Outlet Stores. But they definitely can spread the merchandise out in the park, reducing the potential wait for guests, and that has the added benefit of making things just a little bit harder for the eBay pirates to scoop everything up immediately. 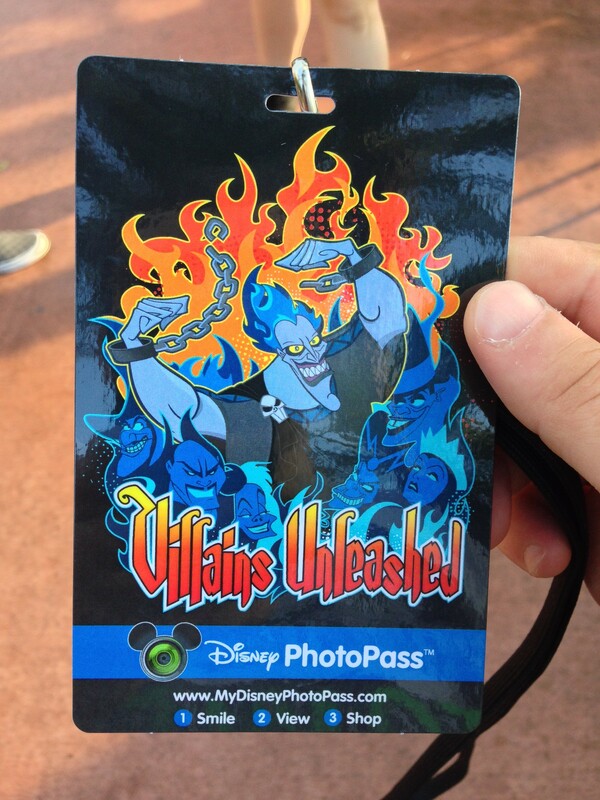 One of the surprises of Villains Unleashed came immediately as guests checked in. Instead of the paper wristbands that hard ticket events at Disney have traditionally used for credentials, partygoers were given Disney PhotoPass lanyards. Like the park maps mentioned above, these lanyards become instant souvenirs for every guest. Lanyards are used by most organizations (sporting events, concerts, comic conventions, etc. ), and it makes a lot of sense to use them in the theme park environment. Universal is a huge proponent of guests using lanyards for their ticket media, Express Passes, and PhotoConnect cards, as it makes touring the UOR parks much easier. Here’s hoping lanyards become standard for Disney parties. # 4 – The exclusive food and drink were a big step up, but….. 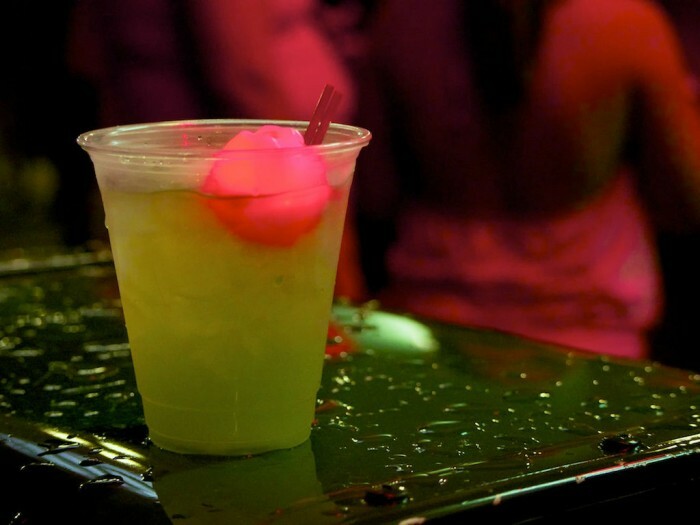 Dining options and specialty drinks were a mixed bag during the event. 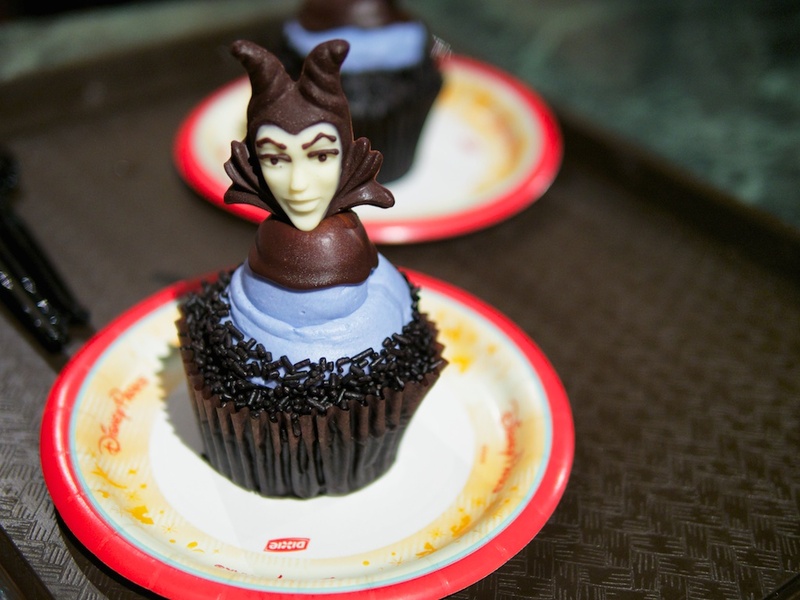 On one hand, Disney offered much more than the usual limited offerings at a hard ticket event including a special Malificent cupcake, the infamous hot dog buns, specialty cocktails, and the park even converted the Brown Derby into Club Evil, complete with a villain themed menu. Unfortunately, just like the merchandise situation, there were very few places throughout the park offering these items, which in turn caused long lines. Similar lengthy waits were seen at Club Evil given its limited capacity. It’s one thing to have long lines for shows and attractions, but you want to keep lines moving fast when people are trying to buy food or merchandise. Inexplicably, the goofy hot dog buns also sold out early. To steal a line from a Princess Bride villain, “Inconceivable!” I’m grading this B+/A- for concepts, C-/D+ for execution. We’ve established that the one thing all guests saw more than anything else during Villains Unleashed were LINES. Lines for merchandise. Lines for Club Evil. Lines for character meet and greets. Many guests went immediately into lines as soon as they entered the party, meaning very few actually saw the the opening show hosted by Hades and Megara, a show which almost all who saw it say it was among the highlights of the entire event. However, one aspect of the event that almost everyone had a good chance of seeing was Ooogie Boogie’s Freaky Funhouse Show, which took place at the Theater of the Stars. The venue holds a lot of people, and there were several shows throughout the course of the evening. There was a small percentage of fans who felt that the Oogie Boogie show was a bit over the line for Disney, but most agree that it was definitely a show we’d all be more comfortable seeing at a park like Universal Studios Florida. That’s not a knock on the show, just that it takes a lot of work to get people used to something completely different from what they are used to. Disney has firmly established that it is the family friendly brand in theme parks, and no matter how many warnings they give ahead of time, many guests will not be prepared for acts that could be considered edgy and even risqué. It certainly didn’t help that many guests went into the show with a sour feeling ahead of time thanks to being disappointed in other aspects of the event. Villainy in the Sky did not disappoint. Like HalloWishes, seeing an amazing fireworks display with villains music playing in the background makes for an incredible experience. 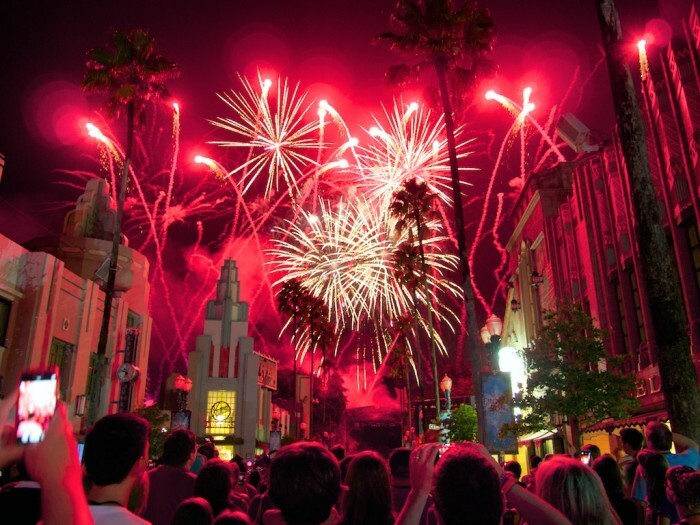 It combines two of Disney’s biggest strengths (firework displays and signature music) into something that no other theme park can compete with. 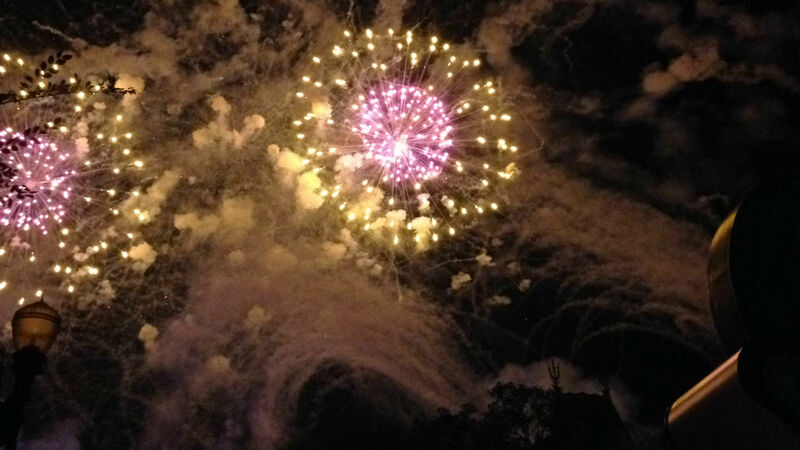 For Villains Unleashed, the problem is that Villainy in the Sky didn’t start until 12:45 AM, after throngs of angry guests had already gone to Guest Relations to get a refund. I’m not sure if it’s even possible to do an earlier showing, given the logistics of DHS, but if Villainy in the Sky could have had a 9:30 PM showing like HalloWishes has at the Magic Kingdom, I think a good percentage of guests would have felt better about the value they got for their money. Villainy in the Sky is that good. Even seeing it with my own eyes, this is hard to believe. Star Lord and Gamora from Marvel’s Guardians of the Galaxy (which just this weekend became the biggest grossing summer movie in America, again “Inconcievable!“) were at the GotG Awesome Mix Tape Volume 1 dance party. While it was hard to get close enough to take pictures with the two as they were roped off from guests and many people were there to see them, this wasn’t a blink and you’ll miss it situation; they were out in full display for everyone to enjoy. These two were rock stars, and the crowd loved seeing them. Is Disney pushing the limits of the contract Marvel has with Universal for theme park usage of its characters? Is this just the beginning of Disney figuring out a way to have a larger Marvel presence inside its parks (who can forget the Avengers-wrapped monorail not being allow to briefly travel through Epcot because of the Universal deal)? I’m not sure of the answers, but it is a very exciting time to be a theme park fan. Honorable Mention: Disney fans love their villains! 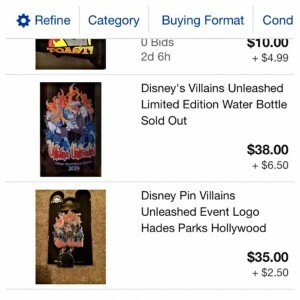 A lot of guests left unhappy at the end of Villains Unleashed, but not because of what was actually at the party. 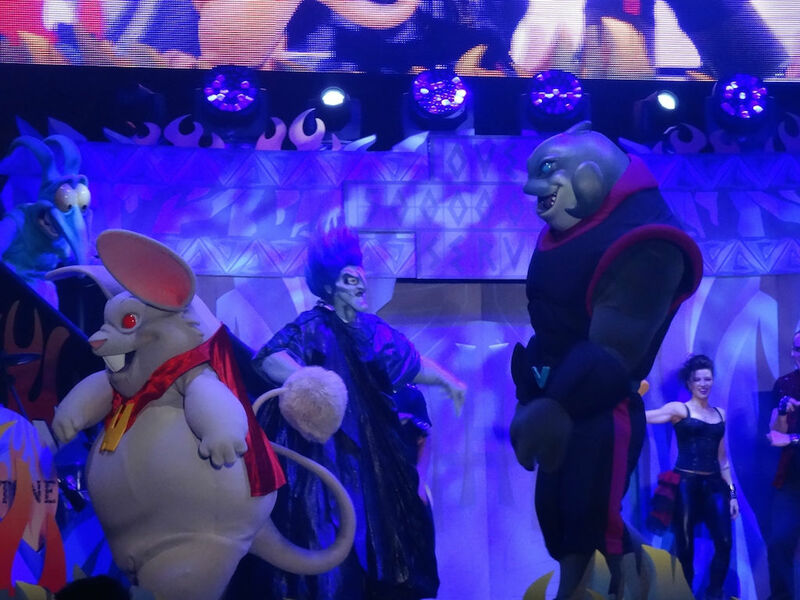 The opening show with Hades and all of the villains was fantastic. The food and drink options were good. The amount of rare characters walking around or available for meet and greets was staggering. The Villainy in the Sky show to cap the evening was majestic. However, the way in which the event was handled cancelled out almost all of that. No park maps when the event started. Long lines for merchandise, food and drink, much of it selling out halfway through the evening. Several of the popular meet and greet lines were capped before 9:00 PM, meaning if you didn’t get in line immediately after the party started, you didn’t get an opportunity to see those characters. While Disney hasn’t released any numbers, most feel Villains Unleashed was horrendously oversold. Part of the allure of a hard ticket event is guests are paying handsomely to experience lesser crowds. It’s one thing for a free Limited Time Magic event like Unleash the Villains to have two to three hour waits for all its characters, but when you start paying $70 a head, you expect more. Could FastPass+ have been used to help alleviate the queues, allowing people to come back and only wait 30 minutes? So there you have it: the Top Six Takeaway from Disney’s Villains Unleashed. See you next weekend for the latest edition of the SATURDAY SIX, where we are going to take a peek at what else is out there in the theme park corridor outside of Universal and Disney. If you had fun, be sure to check out The Magic, The Memories, and Merch! articles, or, for your listening pleasure, check out Pardon the Pixie Dust podcast. Special thanks to Scott Wurzel, Adam Roth, Jonathen Hopkins and crack staff photographer Brandon Glover for their invaluable assistance in this article. I would also encourage all coaster fans to immediately check out Theme Park Review for their fantastic coverage of theme parks, amusement parks, and roller coasters worldwide. They even offer many tours at parks throughout this country offering some incredibly unique once-in-a-lifetime experiences. The event was more horrible than described in here. We spent like 5 hours just walking around the park, to get 1 photo with the storm trooper, enjoy star tours (like any other day) and no mention to fantasmic, that they promised to be something related to villains and the same show. long long lines (+3h to see maleficient), no food, no merchandise, no maps, totally totally wrong, really overcrowed. We see the greedy face of the mouse in here. we got the refund of our tickets, but what happen with the experience? That’s a good point about Fantasmic and it also ties into Disney almost over promoting the specialty food/drink options along with Club Evil. In Fantastmic’s case they made it seem like something truly special would be taking place, and I don’t think anyone thought that was the case after seeing it. For the food, drink, and Club Evil, they did a great job getting across what would be at the event, only for guests to discover they had to wait 30 minutes or more just to get a drink when they arrived. That’s unacceptable. The glow “poison apple” cube is cool, but it’s not great enough to justify spending that much of your valuable party time waiting for. I was listening to WDW News Today podcast (episode 323) and they also brought up some easy fixes that would have made the night much better for your average guest. An exclusive game inside Toy Story Midway Mania. A character riding on Tower of Terror so that your on-ride photo would include something very unique. Using the technique DHS already has for putting Frozen’s Sven into pictures with guests, take a green screen picture and put all the villains that most guests never got an opportunity to see because of the long/capped lines. I think this party has the opportunity to be a great alternative to both Mickey’s Not So Scary and Halloween Horror Nights and I don’t think it has to leave the Studios to accomplish that. There were characters riding ToT. We saw Cruella de Vil on one trip, and I think some of the other roaming villains were doing it too. 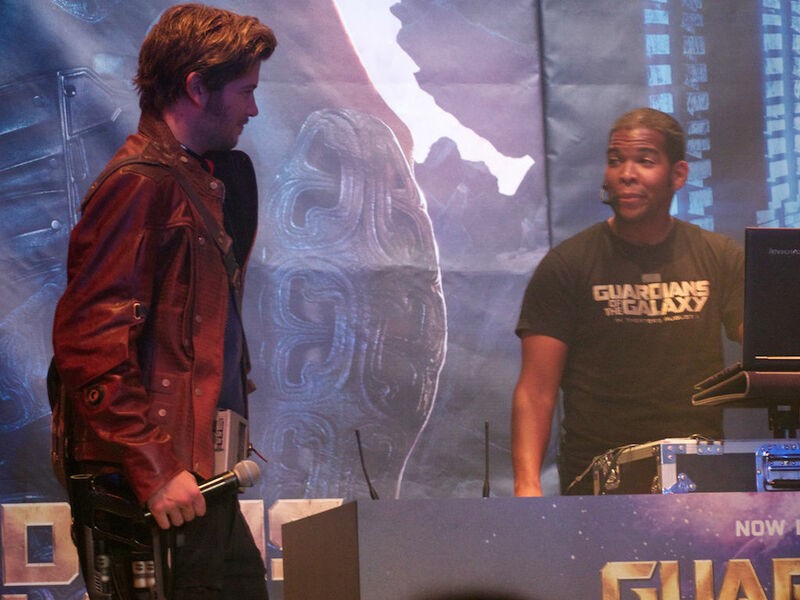 They also employed the green screen for Guardians. I think the concept has legs, but not at DHS. Who’s ultimately responsible for these bad decisions (likely over selling the event, no paper FP for long lines, merchandise/food shortages?) That person needs to be canned. We hold Disney to a higher standard and it’s disappointing when they fall so far short. Good news for Disney; your fans adore you. Bad news; if you mess up, we are not just angry, we are hurt. Don’t get me started on what they are doing to MNSSHP. A bait and switch regarding villain access was just “announced/discovered.” Kenny the Pirate wrote a great article on it. I hope this is not a second case of bad form on Disney’s part in such a short time period! Regarding Marvel characters in the parks, I read the Universal contract and it looks to me like WDW can’t use characters that are in Universal or related to Marvel characters in Universal. I don’t practice in contract law, but it appears that Disney is specifically choosing characters not connected with characters in Universal so they can get around that. This is probably not news to anyone, so sorry if I’m droning on about something that’s common knowledge. I really like your suggestion of using FPP for events like these. If this idea were employed for MNSSHP, I would gladly wait 30 minutes for three of the more popular characters I wouldn’t otherwise get to see. This will be my first time at that party, so I’m planning and hoping for the best. 🙂 I’m sorry to read so many people didn’t enjoy Villains Unleashed and hopefully some valuable lessons were learned from the debacle. 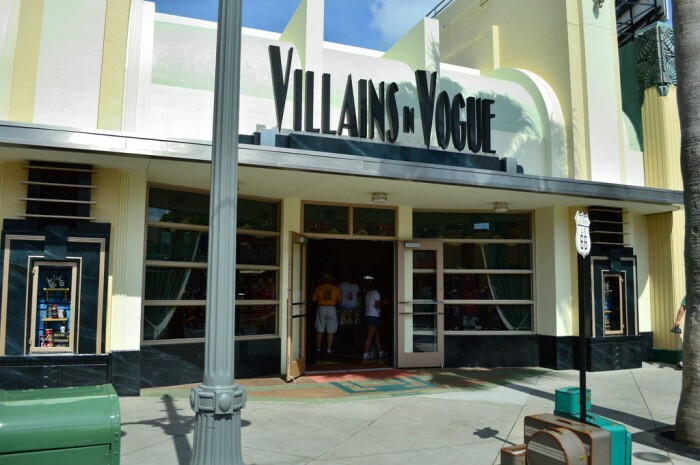 I’d also love to see a villain-specific store return to the parks; I have really fond memories of the Baddies store from when I was a kid and the black feather boa my mum bought there may have had a profound impact on my life! 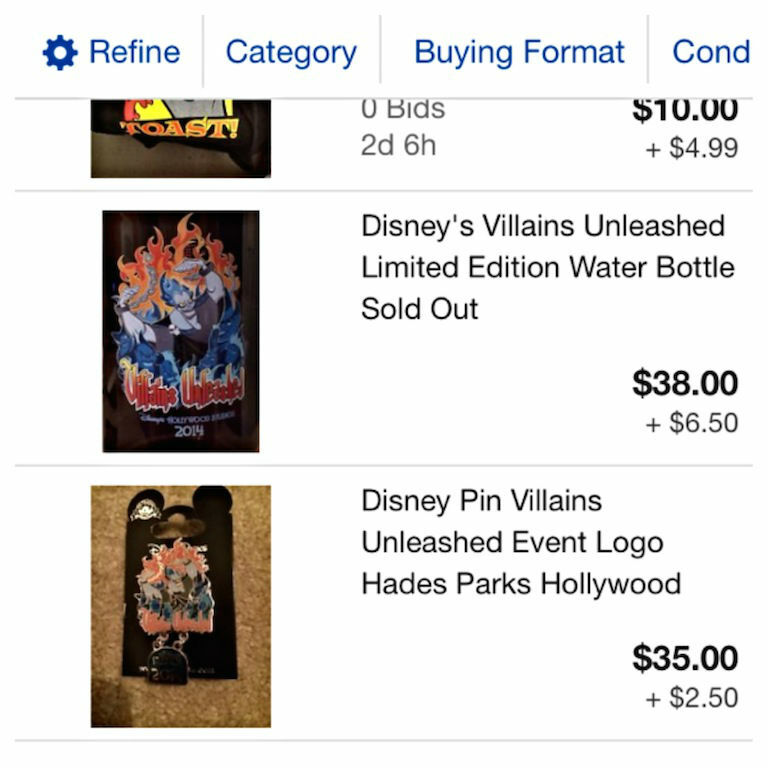 I was sad to see the store was long gone by the time I remembered it and obviously there’s quite a demand for villain merch. Sadly, Disney Parks management will look at these results, and decide that the best use of money is to invest more the Meet & Greet facilities and merchandise, and less in rides and attractions. As local annual pass holders, we would sometimes justify the cost of going to the hard ticket events due to the fact that the wait times were generally so low (Like MNSSHP). Even then, we rarely went due to the cost. I cannot even imagine how upset I would have been if we’d paid all that extra to not really experience anything new. One of my soapbox items has always been the pass holder “discount” on these events, which is a complete joke (Usually $5. Come on, Disney). It was just so hard to justify spending $60 per person for an evening event when we were already paying monthly. We made our first trip to WDW during that week, and Villains Unleashed came towards the end of a very magical first trip… and what a let down! To have paid $70 to be told I couldn’t join a line for any character I tried to meet after 11.15pm, to be told at 7pm when I wanted to pick up a t-shirt that they couldn’t guarantee they would have any left when I got to the front of the line, to have Fantasmic and it’s pre-show oversold (the pre-show was a joke. It wasn’t a show at all. Incredibly dull.) It was a serious let down. The line at guest services was so long I couldn’t face dealing with it that night- concierge tried for me the next day, and couldn’t get through. It was only once we got back to England that I managed to get hold of someone, who offered a refund (as clearly park tickets or a MNSSHP tickets are no good to me on the other side of the pond), thank goodness. Sadly, that doesn’t make up for the waste of time, or the disappointment, but at least I’m not out of pocket anymore! With the exception of Fantasmic you nailed it in your review and I’ll forgive you for failing to mention Fantasmic since you got to it in the comments. lol. My experience was exactly like yours. I was really psyched for the event but it was WAY over sold. In contrast I did the first MNSSHP the other night and we go to see everything and meet (and dance) with some villains and characters. Villains should be done over multiple weeks in August and September even if it overlaps with MNSSHP. There are plenty of people (like me) who would see both but after my experience with villains I’d probably never go back. Thanks for the article! We left @ 10 frustrated that there was nothing to do but wait in lines. We just figured the event didn’t fit our demographic until I read this article and other reviews of the night. I went to guest services at Animal Kingdom 10 days later and asked for a refund. I received the refund immediately with numerous apologies. I would never have known it was a possibility without this article. 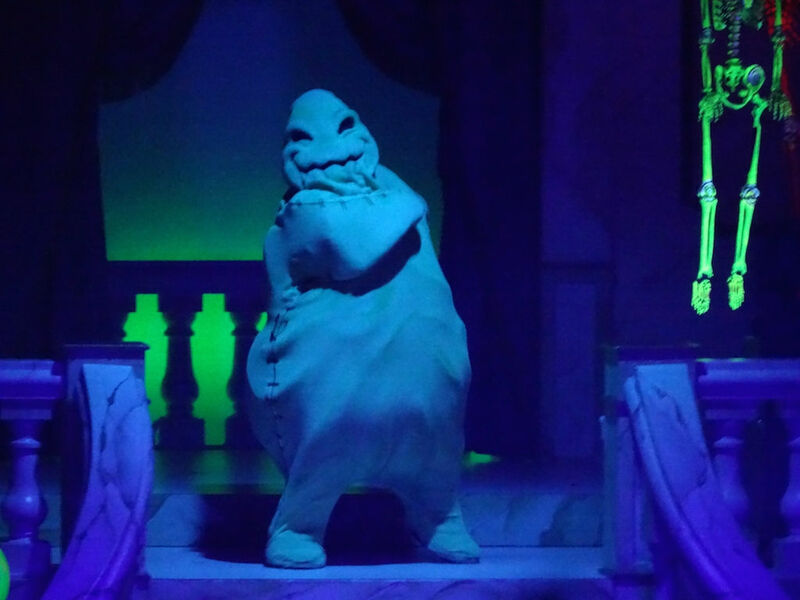 What exactly was inappropriate about the Oogie Boogie show? Off color jokes? Were the acts too adult? 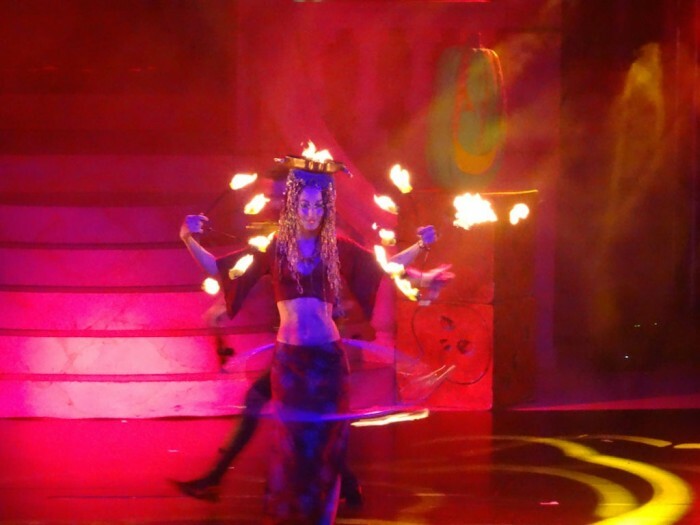 The fire dancer looks like the belly dancer at Morocco so it can’t be the costuming…. Just curious what about the show was not family friendly.